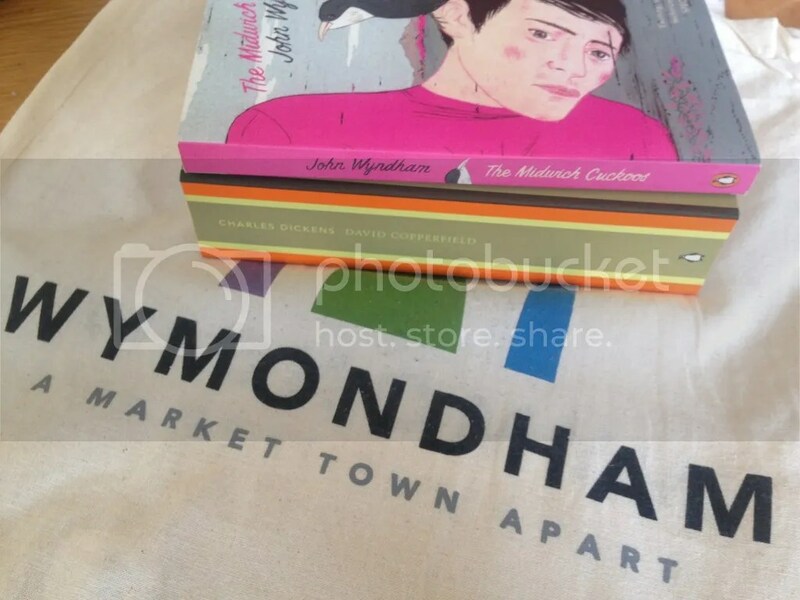 So, if by some chance you missed it, last week was Independent Bookshop Week 2015. 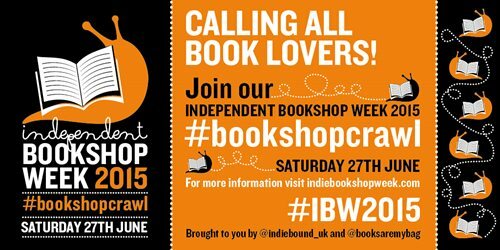 It ran between the 20th and 27th of June and was a big celebration of all the independent bookshops in the UK. It is an event that encourages people to visit, and shop, at their local independent bookshop and just raise that awareness that they are there. Anyone that knows me knows that I love independent bookshops – I’m lucky in that where I live in the UK the independent bookseller hasn’t been killed off. Nearly every town on the outskirts of the city has an bookshop, even the city centre the independent shops withstand the pressures of the Waterstones within 100 metres (which I also love, even though it is a chain it still has that personal feel for me, which is why I visited it). I was actually on holiday this year for IBW2015. I was hoping that being in a different part of the country I would be able to stumble upon new gems of bookshops and find something different to take home with me. This however wasn’t the case, it was rare to stumble upon a Waterstones never mind an independent shop! So this left me very disheartened and the image I had in my head of how my holiday and, consequently, my IBW2015 were going to go was shattered! The first book he actually recommended to me was The Honours by Tim Clare. This is one I’ve seen about a lot and know very little about so again, this is exciting. It’s a YA book which is not my usual forte, however it is set in Norfolk and Tim Clare is actually a poet so I’m really looking forward to see how this reads! The next two books that Robert recommended to me were Dorothy Must Die and The Wicked Will Rise by Danielle Paige. These were an instant hit and I needed no convincing. Anything that has any relation to The Wizard of Oz has me at hello! From what I was told, Dorothy remained in Oz and someone has to go in and undo the mess that she has created! 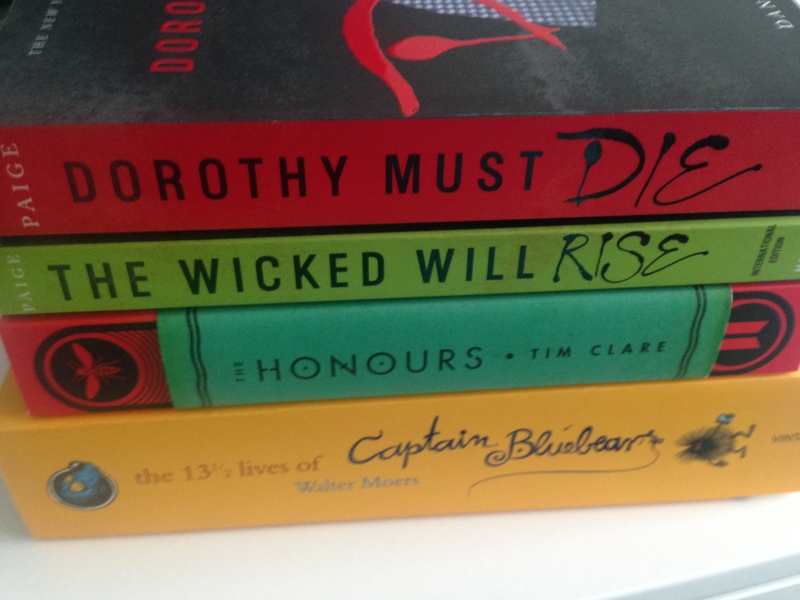 also, the covers on these are GORGEOUS. The final is the book that I actually purchased as my book to give, as the theme of IBW this year was to give a book to someone. So The 13 1/2 Lives of Captain Bluebear by Walter Moers is a book that I’m actually going to give to my sister. Though, Robert said not to give it to her until I had read it myself. So I may have to do just that because it is a beast and it looks amazing! After filling a tote bag, I decided I still wanted more so I weaved up the Norwich lanes (to avoid a travelling samba band) to visit The Book Hive. Now, The Book Hive is the only ‘free standing’ independent bookshop in the city and it is a treasure trove. None of the shelves are straight, it’s higgledy piggledy, it is just beautiful and – if I ever reach my dream of bookshop ownerdom – I would love to own a bookshop like this. They too own a publishing house (Galley Beggar Press) who have published books such as A Girl is a Half Formed Thing. They also published these adorable little books, similar in style to the Penguin 80p classics, last year which I really should invest in at some point soon! Here I just let myself browse around a bit, there is never any shortage of new books or authors to discover in here, so often I allow myself to just pick up a book on a whim. Which is what I did with one of the three books I bought here. I wanted to pick up more like this but, for some reason, I was just drawn to buy two books that I’ve wanted to read for a while. Anyway, in The Book Hive, I filled my second tote bag (this time one I bought from The Book Hive a few months ago. It has bees on it!) with these books. First off we have The Making of a Marchioness by Frances Hodgeson Burnett – I love The Secret Garden and I wanted desperately to purchase a Persephone book during this bookshop crawl. As I didn’t purchase one in Jarrold’s, I decided to peruse the limited selection that was up in the attic of The Book Hive. This one won out though I now have several more on my To Buy list at a later date as a decision was not easily made! Next is my impulse purchase which is The Drum Tower by Farnoosh Moshiri. It is set in Tehran and I was just drawn in by one, the beautiful cover and two how rich it sounded. I want to diversify my reading and this seems like a book that it will be a pleasure to do that with! Finally is N-W by Zadie Smith. Zadie is wonderful, I read White Teeth and On Beauty a few years ago now and have had this on my TBR for ages, so I finally bought it in a hope to actually get around to reading it sooner rather than later! The next stop on my list was my local Waterstones, now I know this isn’t technically an independent bookshop, however I love my local Waterstones and it contributes to the local landscape as much as any other bookshop. I love the staff, I love exploring there and – also – I spend far too much time in their café! Sure, it is harder to find a hidden gem in Waterstones, but I successfully emptied the £35 I had on my points card here! Two of the books I bought I did actually already own (very battered) copies of and just wanted to get these shiny ones that match the rest of what I have. So, Like and Hotel World by Ali Smith are just newer editions of two books I already own. My previous editions both encountered my dogs teeth as they came through the letterbox so when I saw these I nabbed them up. It’s so hard to find Ali’s back catalogue in bookshops locally to me so when I do see it I take the opportunity. The other two books I purchased are paperbacks of two more books in the Canongate Myths series. I love Girl Meets Boy and The Penelopiad so I wanted to expand my collection a bit more. I’ve been eyeing both of these up for a while now and, when I decided to empty my points card I decided to nab them both. So we have The Goddess Chronicle by Natsuo Kirino, a Japanese author who typically writes crime. Goodreads describes this as ” a mythical feminist noir” so I’m interested to see what it actually entails. The other is The Good Man Jesus and the Scoundrel Christ by Philip Pullman. This is one I’ve heard about briefly from Jen and I actually read the first few pages while I was away (I found it on a bookshelf in a pub) so decided to actually purchase it! There were a couple of books that I was sad I didn’t pick up which I regret now. So I may have to go back and purchase them. One of which was a recommendation from Ben – After Me Comes the Flood by Sarah Perry. The final bookshop I visited I didn’t actually visit during the week of IBW, instead I visited it on the today (29th). I was sad I didn’t get to go over and visit it during IBW, and I really regret not getting up earlier Saturday and including it in my crawl. It was Kett’s Books in Wymondham. Now if you’ve followed me for a while you’ll know how much I adore this bookshop (I’ve previously blogged about it here) and I had to return a book that I had borrowed from Tracy who works there, so it was a perfect excuse to go over there. It’s a 10 mile journey, which takes about 1hr 30 minutes and 2 buses but it is so, totally worth it! Sadly, Tracy wasn’t in so I couldn’t discuss the book that I borrowed (just means I get to go back another day!) but I didn’t leave empty handed – I picked up a couple of books in their ever changing, very petite classics section. Now, it’s a poor picture of the books but I wanted to show off yet another tote bag. This time one that I got for buying my books in Kett’s Books a few months ago – I felt it appropriate to take it with me on this final jaunt! So the books I purchased were The Midwich Cuckoos by John Wyndham (appropriate, as Wymondham is pronounced the same way) and also I got a Penguin English Library edition of David Copperfield to add to my growing PEL Dickens collection. That is it! That’s all the books I obtained during the bookshop crawl. A total of 13 books there all of which I’m very excited to get around to and with the aid of loyalty cards, discount and point cards I managed to save myself a few pennies which is always a plus. Though, I think I spent an adequate amount in each place to not be selling anyone short! Doing this has had me really excited about bookshops again, and reading. I’ve had some lovely conversations in the 2 days I was looking around bookshops with both booksellers and other shoppers. I’ve discussed my love of bookshops, my refound love for books over the last 2 years since starting my degree; I’ve taken booksellers recommendations, I’ve picked up books that I’ve never heard of before. It was a great way to end my holiday, especially after the disappointment of being unable to find independent bookshops when I was away. I’m a firm believer in the independent seller on the highstreet and I do my utmost to support any business I can, it just so happens that bookshops are something that hold a place in my heart above anything else. I cannot express in words just how much I love the bookshops I visited this past few days, all of them I feel I have some sort of attachment with, all of them I can go in to and have a conversation with the person who is behind the desk – they know me and, honestly I think some booksellers know me better than my friends do because they know, and care, about one of my most important traits – my bibliophilic nature! Most people just sigh and roll their eyes at me when I say I’ve bought another book, or that I’ve been to this beautiful bookshop or whatever. They just don’t understand that it is just as much part of me as my hair colour or my shoe size. But in a bookshop, especially those independent ones which you walk in to and they take up a bit of your heart, they can see inside you and often know just what you need in that moment. So I urge you, if you missed out last week don’t feel that you’re too late. Find your independent bookshop. Strike up a conversation with a bookseller. Get some recommendations. Often, a bookseller knows what you like before you know! The independent bookshop is by no means dead and I will be doing all I can to keep it that way! This was long, I am sorry, but I hope you stuck with me through it all. I’d love to hear if you did a crawl, or about your favourite bookshop or anything to just celebrate the love that is the local, independent bookshop!